If you just want to dance among the stars and these afterhours keep you charged, then this is good news for you! (See what we did there?) The music manipulation expert – TroyBoi is coming to Kitty Su for the second time and this time, it’s going to be bigger & better. What To Expect At Kitty Su? Carrying the fame and responsibilities of one of the world’s best nightclubs, Kitty Su does not disappoint with its great taste in music and lineup of amazing artists every now and then! 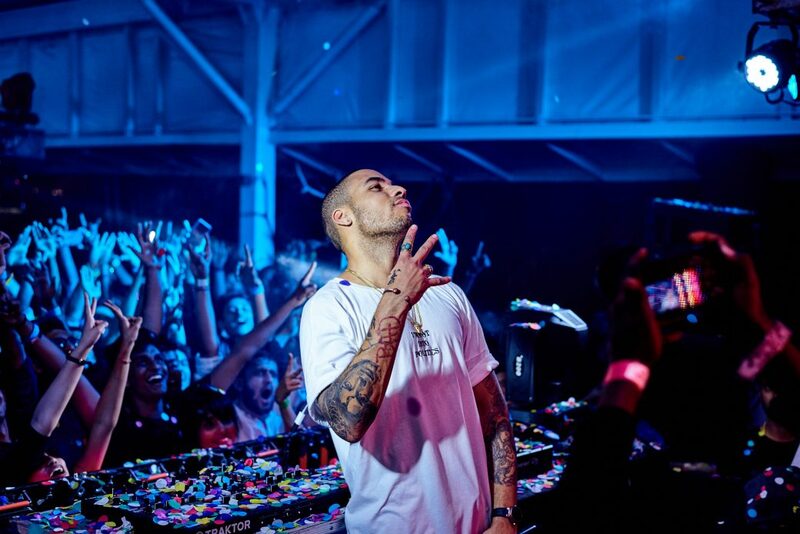 The TroyBoi Experience is indeed a musical journey of hard-hitting beats, lights, visuals, and the unexpected. While his musical style can be broadly classified as trap, it’s extraordinarily unique, versatile, and fuses various textures from multiple genres. What You’ll Love At Kitty Su? A space that is inclusive, gender neutral and open to all, Kitty Su is quite literally open to all! Apart from the fact that it is inclusive, this event is hosting various other artists like Lucchii too along with TroyBoi! Emerging bass act Lucchii is taking the industry by storm with his signature dark-melodic, hard-hitting, larger than life fusion of electronic and bass oriented genres. If you’ve been waiting for a place to explore newer genres of music, then your search ends here! TroyBoi V!BEZ India Tour – presented by Kitty Su and MHC Throwdown is going to be one hell of an event! If you like dancing to the beats, then move those left feet and get your passes before they run out of it!